Can someone please answer these questions for me? Are "Belief Territories" (the various "Heavens", etc.) really quantifiably undesirable places to be once one crosses over? I mean, what if one believes in such a territory, yet is cognizant of the truth that the Belief Territory in question exists only due to a collective belief in it and that it is only one of the realms available to experience? Would one then be able to come and go from that territory as one pleased? Aren't these particular rings created for the purpose of refuge from the chaotic, unpredictable drudgery and misery of reincarnation (and even the Hell realms), and thus a good thing (at least for those who wish to avoid being reincarnated)? Why is it that Robert Monroe implied that these were undesireable places to be and thought of them as places people were trapped in and needed to be retrieved from? How are these rings of existence any less or more valid than any other? What's so wrong with choosing to go to Heaven, especially if one is interested in communing with the like-minded (and being in the presence of one's beloved deity)? I don't think that the "Belief System Territories" are necessarily "bad" or undesirable places to end up in after you transition. Apparently most of us have been there many times. The point is to understand the reason for their purpose in the first place and why and when we should be ready to move beyond them as a waypoint in our spiritual evolution. Think about it for a moment in school terms: In 1st grade I wanted to be in 6th grade- that was everything to me. In 6th grade I wanted to be in 7th, 8th or 9th grade...then 12th grade, then college. Wherever we are, we are satisfied only for a short time and then we feel the need to move on. As human beings, maybe this can be said as sentient beings, we all want and strive for the next level (of competence/understanding/wisdom)...I'm not sure it ever ends. Monroe only described the BSTs as undesirable in that they were restricting our eventual spiritual evolution. It makes sense in a way, that the majority of humankind ends up for awhile in the BSTs, before they move on. To me it fits neatly within the whole idea of freedom of choice. I find a certain humor in this, and a dark humor at that, that by asking these questions we are finding ourselves in the very uncomfortable position of realizing (possibly for the first time in many lifetimes) that we are caught between the comfortable ignorance of our previous lives and the uncertain and frightening freedom of the infinite future we now realize lays before us. Monroe was a pioneer of the out of body experience ... he certainly traveled (and documented these travels) beyond what had been described before about projection and/or the out of body experience. However, he changed many of his original perceptions (of the 1960's and 70's) by the time he transitioned in the 1990's. Today however (20 to 25 years after his transition) ... many of the people who knew him have replicated his experiences for others, carry on his vision for TMI, and are non-physically exploring and being non-physically guided beyond his initial perceptions. What they have discovered since Monroe (Frank DeMarco in particular) is that the Belief System territories were misunderstood by Monroe in this way. They are not about a specific religion or particular belief, as much as about a shared level of energy among the inhabitants. This shared energy is what forms the perceived limitations of these territories. It is interesting to me that your question here presents its own limitations (e.g., realize that the better the question, the better the answer). All of this (e.g., being extended here into the physical) is about the expansion of consciousness. This is why a developing being would want to move beyond the belief system territories ... or any perceived level for that matter. They want to expand ... they want to follow their true nature of themselves and the Universe (Consciousness). William Buhlman, in his fiction book Adventures Beyond The Body, describes how someone might exit the Belief System territories after their transition (if that's what you are interested in here). It is descriptive and its conclusions come from over 40 years of out of body experiences. Generally, I would add that the four Miranon recordings (with Monroe) at the Monroe Institute may provide some initial guidance and non-physical perspective about Monroe's perceived levels, how progress is made by each being, etc. Miranon, as a non-physical being, communicates the nature of the expansion of consciousness. Then, I would suggest reading the Sphere & Hologram by Frank DeMarco. His non-physical guides provide non-physical perspective about Monroe's perceptions (and some erroneous human conclusions) about the focus levels and even the belief system territories. Subtle Traveler, I'm sorry, I somehow missed your response before and just saw it now. Thank you very much for your very thoughtful and helpful response. So do I understand the Monroe Institute's conclusions as being that the Belief System Territories are no different than any of the other rings of existence to be explored and that no one should any longer feel the need to approach them (figuratively and literally) with with any sort of anti-religious prejudice? And that these dimensions are also part of the vast Isness to be explored rather than feared? And that these dimensions are also part of the vast Isness to be explored rather than feared? Dimensions are part of the vast "Isness" and they can also be explored. But yes, you must learn to handle your fears to proceed forward. Go in with a "Indiana Jones" explorer mentality and you will be led ever deeper into the "Otherworlds". Dimensions are part of the vast "Isness" and they can also be explored. But yes, you must learn to handle your fears to proceed forward. Go in with a "Indiana Jones" explorer mentality and you will be lead ever deeper into the "Otherworlds". What's wrong with watching a fiction movie, and believing it's real? You can't have your cake, and eat it too. How are those "territories" inherently different than this territory, or any other? You're watching this fiction movie while believing it's real—at least some of the time, or in select ways. Besides, who said that believing in a place (i.e. individually or collectively intending/creating it) involved the belief in its realness (whatever that means) or exclusivity as a reality/territory? This territory isn't a "thought responsive" plane. That territory is. Here you differentiate easier between subjective and objective. There, not that easy. Your last statement doesn't make sense to me: can you believe in the existence of a place that you don't believe to exist ...? There is no objective reality accept for the Sacred Void from which all of the aforementioned subjective holograms issue forth. I didn't say anything about believing in the existence of a place that I don't believe to exist. I merely pointed out that believing that a territory exists doesn't necessarily mean that one isn't cognizant of it's mutual existence with other territories and the non-exclusivity of the subjective reality of that plane. In other words, you don't have to believe Heaven is the only afterlife or that it's any more or less "real" than Space-Time to be naturally drawn there or to visit by choice. You made above some statements I don't fully endorse, but I won't argue with you. Probably I don't quite understand what you'd like to discuss here. It seems that you have some spiritual / religious belief that differs from the belief of somebody you're fond of, and you would like that in afterlife, even if each one of you are sorted in your own Heaven, to be able to visit, and continue the relationship. I believe you'll be able to do that, eventually one of you will realize "there's no Santa Claus", and will help the other to realize that too, the you'll move on together to greener pastures. Those are some interesting, if absolutely incorrect, presumptions you've made there. If I wanted to go into any Belief System Territory I'd just intend to go there. And if I intended to retrieve someone, that would be co-dependent upon the will of the entity I wished to retrieve. But I have no intention of imposing my will on anyone else or judging them for where they linger. Having said that, everything is Santa Claus; this physical reality is also dependent upon all of us who continuously observe it into existence with our belief/intent, no different than Paradise. The difference is only in your perception of the two. Ho, ho, ho! I feel like some people are getting a little touchy over the whole Christian/Muslim etc. Mainly because they are belief systems which have been deeply rooted into our civilisation and it is a touchy subject for some. While the presumptions were made. I have to say that I agree with the message, just the delivery was antagonistic. While your goal might not be as previously assumed above, from reading your posts it seems like your belief is strongly siding with heaven being a viable option when crossing over. In this regard, I feel like it was already mentioned. There a good chance you went, but didn't stay. Some people might have stayed and have no intention of leaving, who knows? Some people are happy being able to count to 9, others strive for numbers beyond 9, while a few are looking to create new numbers beyond what was previously recorded. I guess it really depends on if your goal is to count past 9 or not. You can answer your own question here, since you went to college, I guess you didn't stop counting at nine. There is no separation, and this is a human perspective (and very often fear based). The physical and non-physical are all one thing. 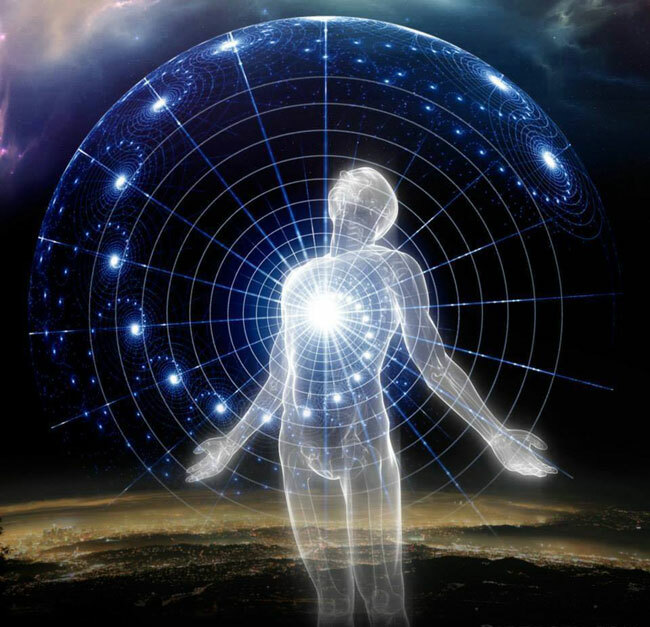 Our inner being (e.g., aspects of us) is already in each dimension. Whatever we the human are focused upon, that's what we are attracted (and align to that). Currently, you and I (and other here) are focused on the physical, so we are on this forum typing to each other. This attraction (because it is non-discriminatory) could place very religious believers and non-believers in the same setting ... because they present the same energetic after a physical life. I think that energy is a better vehicle for pondering and de-constructing this topic. And, this is what I am suggesting (based upon my own understanding). My understanding of this is greatly influenced by the non-physical perspective of Frank DeMarco's guides (recorded in the Sphere & the Hologram). Advancement in any field of Research comes from a result of loyalty, dedication and commitment. I like to think of myself as a "dedicated practitioner". Well said! Looking forward to reading DeMarco's stuff, thanks for pointing me to it.